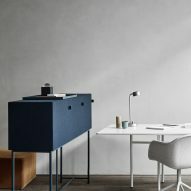 Danish studio Norm Architects' Tone Cabinets is designed to dampen noise in the home as well as the office. Created for Swedish brand Zilenzio – which specialises in acoustic products – the furniture is designed to absorb noise while remaining pleasing to the eye. According to the studio, the fabric-covered cabinets absorb certain frequencies of sound where needed the most, and are aimed at improving acoustics in more domestic environments. 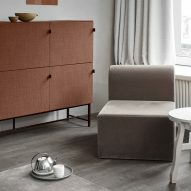 Available in three sizes, the furniture is part of a broader trend that has seen noise reduction become a "major preoccupation" in Scandinavian interiors. As more workers inhabit open-plan offices, there's been greater demand for not just acoustic panels but ways to make existing furniture better at baffling noise. Design brands like Baux, which was set up to bring some design flair into the world of acoustic panels, and Offecct have launched sound-absorbing products. Until now, many of these had been aimed at office workers, with companies releasing rollable dividers for workers on the go, and combined desk partitions and lamps in a bid to tackle the challenges of crowded workspaces. 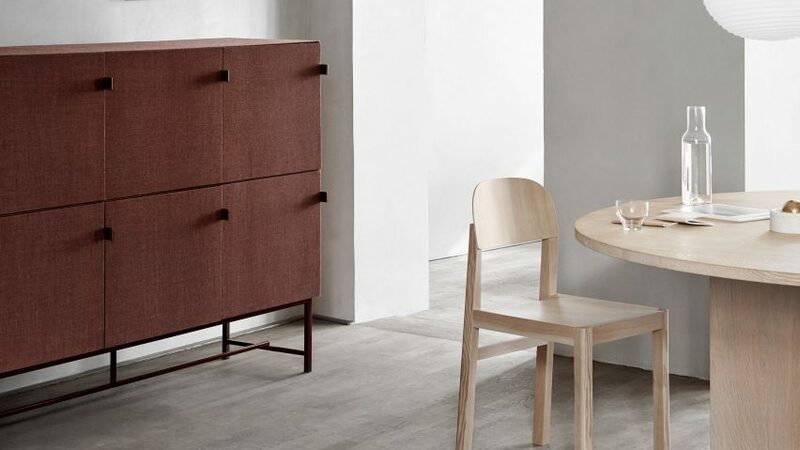 Norm Architects collection, meanwhile, is designed to work just as well in the home. It has a lightweight metal frame, on which rest nearly square rows of fabric-fronted cabinets. Small metal tabs on the outer edge of the doors serve as handles. Norm Architects has previously worked with Zilenzio on acoustic panels, made to resemble scrap wood and designed to make graphic wall patterns when combined. The studio is behind a wide range of design projects, creating everything from a contemporary take on antique bathtubs to the interiors of Kinfolk magazine's Copenhagen office.